Shortly after the news of the death of Chris Stevens reached the state of Washington, the Chinook Native American Indian tribe held a short ceremony in his honor and floated a single canoe oar out on a lake to aide Stevens’ spirit in its journey after life. Dr. Stevens was surprised. “Justice,” she thought, was not what Chris Stevens was about. “This was not at all how my brother would have reacted. I never heard him talk like that,” said Dr. Stevens, who believes the most fitting tribute to her older brother’s life would be to “complete the work he had started in Benghazi,” as his job there was not finished. President Obama, on message, said of Stevens that, "… we must affirm that our future will be determined by people like Chris Stevens, and not by his killers,"
Whether the future will be determined by people like Chris Stevens, or by those who killed him is yet to be determined, especially since most Americans didn’t know Chris Stevens, don’t know who killed him, or why it doesn’t really matter. 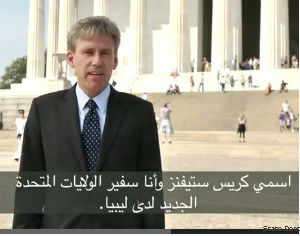 To the Libyan people John Christopher Stevens was a legendary revolutionary hero before most Americans ever heard of him or even knew that he was the American Ambassador to the Libya. Stevens, whose death at the hands of Islamic terrorist is now a political football in Washington, was not your typical diplomat who ran things from behind a desk, but was known to mingle among the people and meet informally with tribal elders, earning their respect by not only speaking their language and eating their food, but delivering on the promises he made. Relatively unknown and unheralded when alive, Stevens was the son of a California attorney; his brother is a lawyer and his two sisters are doctors. After college, Stevens served in the Peace Corps teaching English in Morocco where he learned Arabic and acquired a taste for the local cuisine. He later joined the State Department, doing embassy duty in a number of Arab countries before Gadhafi renounced terrorism and renewed diplomatic relations with the United States, when Stevens served as an assistant to the US Ambassador in Tripoli. Stevens wanted to make the world a better place, but also thought he could have fun doing it. After being posted to Libya under Gadafi, Stevens urged a fellow foreign-service officer to come along for the ride, "This is gonna be awesome. It'll be like the Wild, Wild West. We'll have a great adventure." While some Wikileaks cables and memos are embarrassing to the government, most of the ones out of Tripoli reflect a dedicated State Department staff working diligently on behalf of the United States. Wikileaks memos show Stevens briefed Condi Rice before she visited with Gadhafi on September 5, 2009 two hundred and five years to the day US Navy Lt. Richard Somers and the men of the USS Intrepid were buried on the Tripoli beach. Stevens was aware of the efforts to repatriate the remains of US Navy Lt. Richard Somers and the crew of the USS Intrepid because he was included in the early correspondence between those seeking repatriation and the embassy. 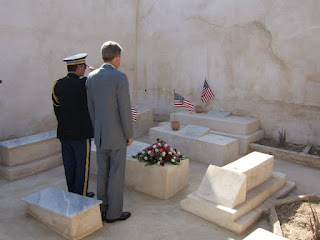 While Stevens was in Tripoli the State Department sought the restoration of Old Protestant Cemetery, where Intrepid graves are located, and nominated the cemetery as a World Heritage site. Stevens may have known of the UNESCO World Heritage status from when he taught English in the Peace Corps in Morocco, where one of the first foreign embassies established by the United States government still stands historically preserved for posterity. World Heritage site status however, didn’t prevent the intentional destruction of a number of other World Heritage sites by radical Islamic extremists known as Salafists - the same ones believed responsible for killing Ambassador Stevens. Salafist Islmists practice a strict orthodox version of their religion, and include jihadists groups like al Qaeda, the Taliban, the Algerian Armed Islamic Group (GIA) and militias in Somala and Mali, as well as groups fighting in Syria where, whenever they take over an area, town or neighborhood they impose their version of Shariah law. Salafas oppose democracy, despise most American values and all Western influence, and consider other moderate Islamic sects as blasphemous, such as the Sufis, who sing, dance and venerate their deceased holy men as saints. The Salafists are against singing, dancing, don’t venerate their dead and don’t like others that do. 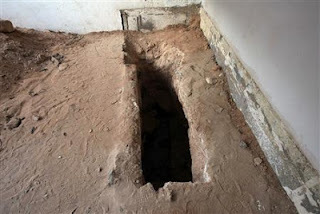 They are grave robbers who steal the remains of those buried in graves and crypts, especially those Islamic saints who have been buried under the cement and tiled floors of mosques, some for hundreds of years. Although the Salafists are a distinct minority, less than 1% of all Muslims worldwide, and less than 10% in Libya, they were suppressed by Gadhafi, and are now free to practice their religion and impose it on others. Shortly after the revolution, freed from Gadhafi’s control, they took immediate and violent action against other Muslim religious sites, robbing the graves of Sufi saints from under the floors of mosques in Benghazi, Tripoli and other cities. Adherents to the Salafa sects are also believed to be responsible for the assassination of US Ambassador Chris Steven in Benghazi, the desecration of the British military graves at Tobruk, and the destruction of hundreds of ancient graves and historic crypts in Timbuktu, where Salafa law was imposed for months before the radical Islamists were forced out by French and Mali troops. These radical Salafist Islamists, while only representing a small percentage of the Muslim faith, are the most vocal and violent, and have been trying to inspire an international religious Jihad for decades. The Salafists were taken by surprise, as were the CIA and everyone else, when Mohamed Bouazizi, a young student in a small Tunisian village became distraught over some minor administrative dispute regarding a permit for his fruit cart, and started the Arab Spring region wide revolts by setting himself afire. So far the Arab Spring revolts have removed three reluctant dictators from long entrenched power and have others on the ropes. Rather than a religious jihad however, these dictator toppling insurrections are essentially popular revolts by leaderless rebels who seek liberty, democracy and a free and open society, though the Islamists have done everything they can to hijack the revolutions and impose Islamic governments and law, like those in Saudi Arabia and Iran. Once dictators fell in Tunisia and Egypt, on both sides of Libya, Mohmar Gadhafi suspected he was in trouble, and anyone who knew anything about the history of the area knew that when it began, the revolution in Libya would begin in Benghazi, a city intentionally suppressed by Gadhafi. After running a rogue state for decades Gadhafi turned the other cheek, renounced terrorism, turned over his weapons of mass destruction and reestablished diplomatic relations with the United States, but it was clear that he was still a ruthless dictator. In retribution for past indiscretions, Gadhafi punished the city of Benghazi by denying it basic social infrastructure support and appointed a women mayor - Huda Ben Amer, known as “Huda the Executioner.” She earned her nickname by personally pulling the rope to hang Sadek Hamed Al-Shuwehdy in a school gymnasium so all the students could see and learn what happened to those who opposed Gadhafi. Sadek had studied engineering in America and returned home with the idea of helping to rebuild his country. Not a militant activist, he merely sought social change, was arrested by security police and without a trail, was executed by Huda in the Benghazi basketball arena. Since Sadek’s execution was conducted in a basketball gym, it is clear that there must have been some early American influence in the city, as basketball is a distinctly American sport, and Benghazi was certainly marked by Gadhafi for retribution, and many political prisoners in Tripoli’s Abu Salim prison were from Benghazi, some radical Islamists. Then on June 29, 1996, at Tripoli’s Abu Salim prison, over a thousand political prisoners - 1, 270 to be exact, were executed in one day and buried in a mass grave, though their families were never notified, and it took years before the truth became known. Suspecting trouble after the revolutions in Tunisia and Egypt, Gadhafi made some minor moves, - he called off an international soccer match, not wanting thousands of football hooligans to get together, and he had a Benghazi lawyer arrested. Fathi Terbil, a civil rights attorney, had been hired by some of the mothers and widows of the executed prisoners who wanted the remains of their loved ones returned to their families so they could be properly buried. Just as Mohamid Bouazizi sparked the Tunisian Revolution and young boys scribbling graffiti in Damascus started the civil war in Syria, the grieving Benghazi women began the revolt in Libya. Libyans in other cities and towns also took to the streets, but only the port city of Misrata was totally liberated and held out in a many months long siege as the Gadhafi forces retaliated and suppressed the revolt in other places east of Benghazi. Gadhafi had taken power in a 1969 coup d’etat, and consolidated his control, and as Edward Lutwack proclaimed in his book “Coup d’etat - A Practical Handbook,” the total mechanized military firepower of the modern state precludes a popular insurrection from taking control, a political theory that held true until the success of the popular uprisings in Tunisian, Egypt and Libya. The revolution in Libya however, would probably not have succeeded if the United States and NATO did not intervene militarily, neutralizing Gadhafi’s air force by imposing a “No-Fly Zone” and attacking any military force deployed against the Libyan people. America had been the first to intervene militarily and attack Gadhafi’s forces just as they bore down on Benghazi, saving the city the fate suffered by those in Zawiya, Zintan and Misrata. 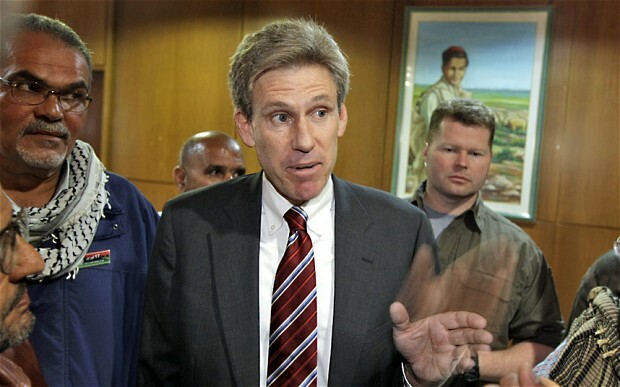 Shortly after the Libyan revolution began, the State Department sent Chris Stevens to Benghazi to make contact with the rebels and determine their motives and intentions. Arriving in the hold of a cargo ship, he engaged the services of a local guide and translator, who spoke fluent English and Arabic and knew the locals and understood their dialects. Over two hundred years earlier, in 1805, Stevens’ great, great, great grandfather six generations removed on his mother’s side, Chief Comcomly of the Chinook Tribe, served as a guide to Louis and Clark as they explored the Louisiana Purchase. The United States had obtained the land from France, who needed the money to finance Napoleon’s army and navy, and among the ships Napoleon built became a pirate ship captured by the Americans and renamed the USS Intrepid, a ship that met its fate at Tripoli on September 4, 1804. Two centuries later Stevens - a direct descendent of the Indian who helped guide Louis and Clark into uncharted territory, was the personal representative of the United States of America while enlisting the assistance of a local Libyan to serve as his guide to revolutionary Libya. With a State Department assistant Nathan Tek and his local guide, Stevens met with everyone they could, including the leaders of the rebel government - the Transitional National Council, as well as shopkeepers, teachers, doctors and the fighters from the front. As for Stevens, Tek said, “Ambassador Stevens understood that you have to express empathy in a genuine way. And he defied the stereotype of an American diplomat who was equal parts arrogant and ignorant. He was honest and human. To me, he was the kind of diplomat I want to be. He wielded American influence through respect rather than intimidation and swagger." In short order Stevens determined the rebels were mainly freedom fighters, though there were some extremists who sought to impose an Islamic state. While a distinct minority, the Salafi Islamists had opposed Gadhafi for years, were the best and most experienced fighters, and they were part of the deal. Reversing a long standing American policy of support of foreign dictators who backed US interests, Stevens recommended the United States continue to back the rebels, and with Stevens as America’s representative, that support would continue. As a student of history Chris Stevens certainly saw the parallels between his situation and that of William Eaton, the American counsel who, in 1805, led a rag tag Arab army against a tyrant in Tripoli at the same time his ancestor assisted Louis and Clark. Hollywood was about to make a major motion picture about Eaton’s exploits called “Tripoli,” described as an “action, adventure historical war drama” and staring Keanu Reeves as Eaton, when the Arab Spring revolutions intervened and postponed production for the second time. Separated by two centuries, William Eaton and Chris Stevens found themselves in eerily similar circumstances. African pirates were attacking American merchant ships and holding their crews hostage, Islamists had declared a religious jihad against the United States, Arab dictators were terrorizing their own people and politicians in Washington were arguing over what to do about it. Sound familiar? Well that’s what the situation was in 1804 when the U.S. Navy was assigned the task of defeating the Barbary pirates of North Africa and freeing the Americans being held hostage. Eaton and Stevens - “warrior diplomats” centuries apart, found themselves representing American interests in Libya and appraising the chances and character of a motley army of renegade revolutionaries who had taken a eastern port city and were about to march on Tripoli to oust a tyrannical dictator. Eaton went up against the Basha of Tripoli - Yousef Karamanli, who had declared war against the United States by chopping down the flag poll outside the American ambassador’s residence. He had a powerful pirate fleet that was attacking American merchant ships, enslaving their passengers and holding crews for ransom. Answering with the cry, “Millions for defense but not one cent for tribute,” Americans decided to fight rather than pay the extortion, but unfortunately one of the first ships sent to fight the pirates, the frigate USS Philadelphia, ran aground and its 300 man crew were taken prisoner and added to the hostages being held in the dungeons of the old castle fort. Karamanli renamed the ship “the Gift of Allah,” the flagship of the Tripoli pirate fleet. Not without American heroes, Navy Lt. Steven Decatur, during a daring nighttime raid aboard the captured pirate ship Intrepid, recaptured and scuttled the “Gift of Alah” in Tripoli harbor, a raid that is considered one of the earliest special operations of the US Navy, the type of mission now given to Navy SEALS. Then Decatur’s sidekick, Lt. Richard Somers returned to Tripoli harbor with the Intrepid outfitted as a fire ship on a similar late night covert mission designed to destroy the anchored enemy fleet, but something went wrong and Somers and his twelve man crew perished in a fantastic explosion on September 4, 1804. The next day American prisoners from the Philadelphia buried their bodies on the Tripoli beach. While the US Navy blockaded Tripoli harbor, another American diplomat - William Eaton opened a second front against Yousef Karamanli, the Tyrant of Tripoli - the Gadhafi of his day. Eaton had met the tyrant’s deposed brother Hamid Karamanli in Egypt and convinced him to try to attempt to regain his power. With American support Eaton promised, Hamid could take over and end the tyranny. The American support however, was limited to Eaton, US Marine sergeant Presley O’Bannon and eight U.S. marines. 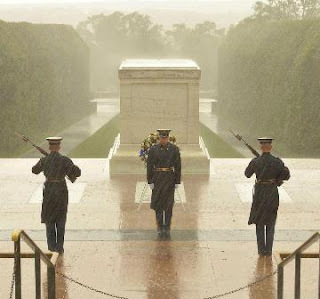 But they were eight “boots on the ground” leathernecks, all that would be needed. Together with 300 Greek Christian mercenaries and a small cavalry of Arab Bedouins, Eaton marched his ragtag Army across the desert to attack and capture the port city of Derna, east of Benghazi. Just as Lawrence of Arabia had captured the port city of Acaba during World War I, Eaton took Derna in a surprise attack from the undefended desert side. After repulsing a counterattack by loyalist forces, Eaton began to plan a march to Tripoli, but in the meantime, their victory at Derna convinced Yousef Karamanli to accept peace terms offered by Tobias Lear. Lear had been George Washington’s personal secretary, and despite the pronounced U.S. policy of not paying tribute or ransom, Lear’s treaty paid $60,000 ransom for the release of 300 captured U.S. sailors. It also permitted Yousef Karamanli to remain in power and betrayed the promises Eaton made to Hamid Karamanli, so Eaton had to abandon his volunteer army much like the Cubans were abandoned at the Bay of Pigs. Sneaking out of Derna in the dead of night and boarding an American warship before his army and former allies knew he was gone, Eaton felt betrayed by his own government. Hamid Karamanli was also betrayed, but he thanked Marine Sgt. O’Bannon for fighting for him, and gave O’Bannon his Mamaluke sword, now the official dress sword of the US Marines. Tobias Lear, having ended the first war against the Barbary Pirates on unsuitable terms, was widely denounced for paying the ransom and agreeing to a treaty keeping Yousef Karamanli in power. Lear later committed suicide, and Steven Decatur led a second war to obtain terms for a more lasting peace. But they left the remains of the crew of the USS Intrepid behind, buried on the Tripoli beach. 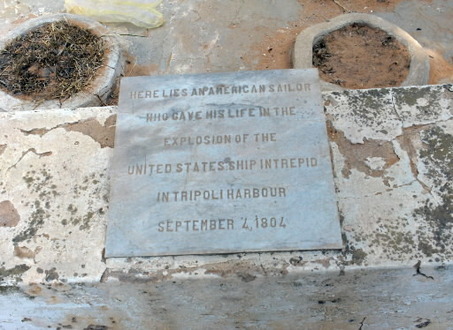 In 1949, over one hundred and fifty years later, when the US Embassy conducted an official ceremony at the graves of the Intrepid sailors, included in the proceedings was the mayor of Tripoli - Yousef Karamanli, a namesake and direct descendent of the tyrant of Tripoli who had declared war against the Untied States two hundred years earlier. 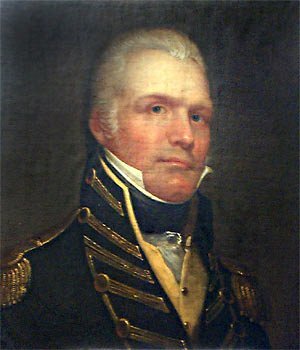 Then, more than two centuries after William Eaton snuck out of Derna by boat, Chris Stevens found himself arriving in Benghazi in the hold of a cargo ship, with instructions to meet and determine the motives of a rag tag army who were fighting another tyrant in Tripoli, and prepare to march there, possibly completing the march that Eaton began two centuries earlier. Were the rebels sincere? 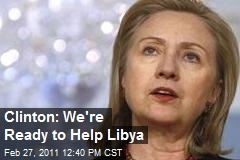 Could they remove Gadhafi? Should the United States assist them? And if so, once the march to Tripoli began, if the road got rough, would they be betrayed by war-weary Washington politicians who would accept a “peace treaty” that would keep Gadhafi in power? While Eaton’s promise was co-opted by the diplomatic moves of government, Stevens saw it through and finished the historic march to liberate Tripoli. But unlike Eaton, the February 17th revolutionaries couldn’t just take the coast road west across the desert to Tripoli because Gadhafi’s well fortified and loyal hometown stood in the way. When Stevens reported to Washington he explained how there was fighting on three fronts - at Benghazi, in the western port city of Misrata, which was holding out under siege and a third front in the mountains south west of Tripoli. While things appeared to be a stalemate, the revolutionaries were determined to topple Gadhafi, and they eventually did so, with the help of the United States and NATO air support. The Berber “Amazingh” people of the Nafoosa mountains, with their own language and unique culture that stretched across a number of North African countries, had been there for centuries, before the Islamists arrived. They remember the Romans, got along with most invaders and occupying armies, but they too were suppressed under Gadhafi. When the revolution began the first thing they did after expelling the Gadhafi forces from their towns was to open schools to teach the Amazing language. 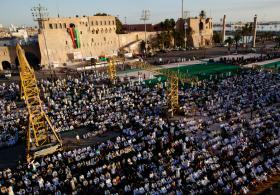 The march to Tripoli, which was to begin in Benghazi, actually came out of the Nafoosa Mountains in southwest Libya in mid-August, 2011, and ended at the old castle fort in Tripoli where Gadhafi’s Green Square was renamed Martyrs Square in honor of those who died in the fighting to free Libya. Just as Benghazi has its revolutionary square where their protests began, China has Tiananmen Square, Bahrain has the Freedom Roundabout, and Cairo has its center of public protest, Tripoli has what Gadhafi called Green Square. It’s the public space outside the Old City and old castle fort where Gadhafi celebrated the 40th anniversary of his coup. It’s the same square where Italian dictator Beneito Mussolini reviewed the troops, and where Nazi General Irwin Rommel planned the defense of the Fascist empire in North Africa early in World War II. Martyrs Square is to Libya what Times Square is of New York City, except it dates back many thousands of years, to pre-Roman times. Ironically, the only real martyrs buried at Tripoli’s Martyrs Square are the US Navy officers and men of the USS Intrepid, who died fighting for the same ideals as the Libyan revolutionaries - against tyranny and for freedom, liberty and democracy. “Death to Tyrants” was their motto in 1804, and death finally came to Gadhafi when the men of Misrata took Gadhafi’s hometown, ran Gadhafi down and brutally killed him, Libyan justice and revenge for what Gadhafi did to there city. The revolution was difficult, but creating a new government and an open society is much harder, and as a reward for his success during the revolution, in May 2012 Chris Stevens was named US Ambassador to Libya and he was looking forward to helping the Libyans build a new nation. While still not familiar to most Americans, ordinary Libyans knew Ambassador Stevens as a revolutionary hero much like Americans recognize French General Lafayette as an American revolutionary war hero. As Ambassador, Stevens conducted business in much the same style he exhibited during the revolution, and he often went out among the people, meeting and dining with them, and getting to know them personally. He did this during the revolution and while U.S. Ambassador. And the bullies giving Libyan democracy the most trouble were the Salafists, the radical extreme, orthodox Islamists known to despise democracy, deplore music, dancing and the veneration of the dead. A 21 year old engineering student told a reporter, "I am not afraid of Islamists in Libya. This is a moderate country and even if there is a small element of radicals, they won't be able to push their way through." - A Libyan Jew, who left his studies in Italy to join the revolution and fight to liberate Tripoli, was threatened by the Salafist militiamen when he tried to clean up and restore Tripoli’s ancient abandoned synagogue. - A Copic Christian church in eastern Libya was burned to the ground, reportedly because its members were trying to convert Muslims to Christianity. - In Tobruck, young Salifists knocked over the grave markers of dozens of British and Australian veterans killed during World War II. 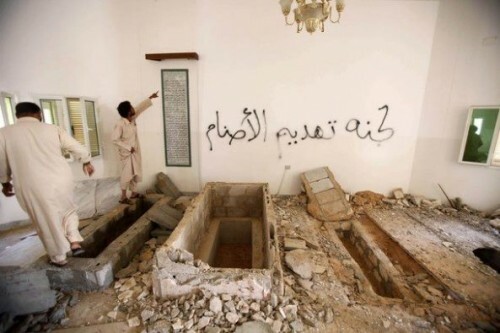 - In Misrata, the city in ruins, there is nothing left of the 400-year-old tomb of holy man Sidi Hamed al-Bikr, after Salafi attackers fired anti-tank guns at it. - In Derna, Salafists demolished the tomb of Sidi Nasr Aziz, a sheikh and companion of the Prophet Mohammed. - In Tripoli the Salafists used heavy equipment to excavate the bones of revered Sufi saints, digging them up from their graves beneath the tiled floor of a mosque, and disappeared with the bones into the desert. - In Tripoli, more tombs at the Sidi Nasr mosque were wrecked by Salafists who broke in at night when no-one was there, destroyed two tombs: one of a holy man who died in around 1760, and another of a sheikh who died 15 years ago. They removed the body from the more recent grave, and were about to dig up the second when they were disturbed and fled. - In Timbucktu, southwest of Libya, fighters from the same radical Islamic sect of Salfarists, some fresh from battles against Gadhafi, took over Northern Mali, imposed a strict Islamic law in the ancient city of Timbucktu, and like the Taliban’s destruction of the ancient Buda statues in Afghanistan, began demolishing ancient crypts, destroying Sufi mosques and before being ousted by French troops, burned an historic and ancient library of Islamic books, all of which had been deemed protected as UNESCO World Heritage sites. In Tripoli, Ambassador Chris Stevens led the American delegation in trying to restore diplomatic service and organize a new administration while he continued his popular style of meeting informally with everyone. Sometimes, when arriving early for a meeting, he would stop at a public café just to see and hear what people were saying. “Let’s hang out for awhile,” he’d say to his companions, and then sit down at a sidewalk café just to take in the atmosphere and pick up some “incidental intelligence,” that could prove important later on. From 1948 until the American military were ousted by Gadhafi in 1969, the graves of the American Navy heroes at the cemetery were maintained by the Officers Wives Club from Whellus Air Force Base. When they were rediscovered by some American tourists in the 1970s the Intrepid grave markers were overgrown with weeds and the cemetery in disrepair. 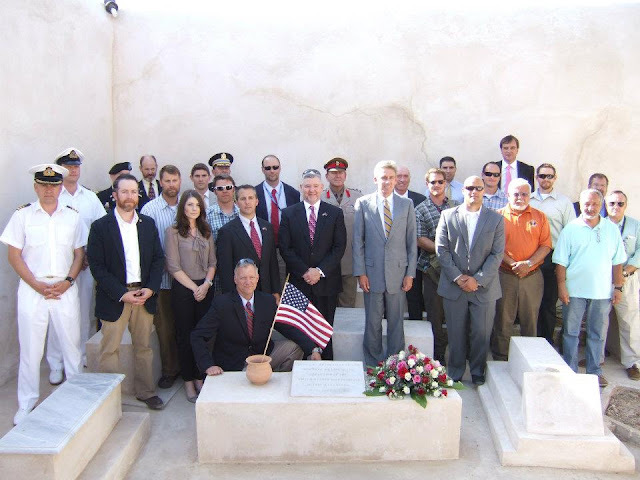 After Gadhafi reestablished diplomatic relations with the United States, the first State Department employees in Tripoli, looking for real estate for an embassy, took photos of the cemetery, and once the embassy was up and running, embassy workers volunteered to clean up the Intrepid grave site. They also convinced the Gadhafi government to undertake a thorough study of the cemetery, restore the walls and landscape the grounds. They also nominated the cemetery as a UNESCO World Heritage site. In August the Defense Department report by the Navy on the feasibility of repatriating the remains of the Intrepid sailors from the Tripoli cemetery, signed by Secretary of State Hilary Clinton, concluded they should stay where they are, without even mentioning the threat posed to the remains of Americans in hostile land by the grave robbing Salafists. 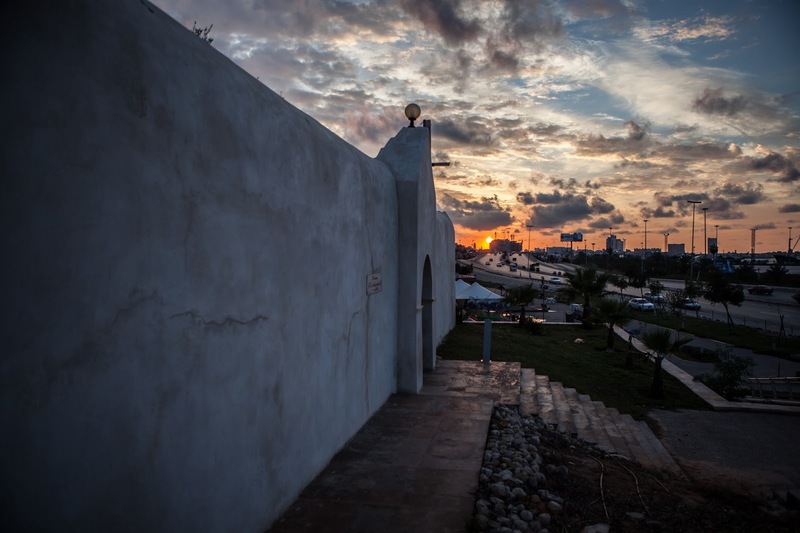 Hanna H. Draper, a State Department officer assigned to Tripoli, began a blog detailing some of her experiences in Libya and in August, 2012 she wrote: “Tripoli: ....I absolutely love the people I work for, from my section chief up through the Ambassador. Amb. Stevens is legendary in Libya for spending almost the entire period of the revolution in Benghazi, liaising with the rebels and leading a skeleton crew of Americans on the ground to support humanitarian efforts and meeting up-and-coming political leaders. On this day Stevens and Draper drove into the mountains to visit the Berbers, the same fighters who sang “the Campfires song,” had liberated Tripoli, and captured Gadhafi’s son Saif, and treated him humanly, unlike the way Gadhafi faced justice from a revengeful mob. The Amazigh - Berbers offer a refreshing and unique addition to the historically diverse Libyan democratic coalition, and how Stevens dealt with them was typical of how he served as the official representative of the United States. “Not to be outdone, I said, ‘I'll have the bazeen too!’ The servers and our hosts all turned to us with jaws dropped. ‘But - but - you have to eat it with your hand! Only Libyans like bazeen! It's messy!’"
“The Ambassador's a lefty, so he was operating at something of a disadvantage in his dough-mashing. This was made worse by the fact that by accident my lime flew out of my hand - hey, my hand was covered with stew juice - and knocked over his drink all over his bare feet. (I haven't been here three months yet, and I've already sealed my fate in my annual review.) Better yet, the political party posted photos of us eating bazeen on Facebook, which resulted in some of my contacts on Twitter asking me last night, ‘Hey, isn't that you eating bazeen?’"
On September 10, 2012, six months after being appointed Ambassador, Stevens returned to Benghazi for the first time since the success of the revolution. He visited an English language school established by his former guide, met with a Turkish diplomat and made arrangements to meet a Boston medical doctor who was in Benghazi to establish an emergency medical service that, if it had been in service that night, could have possibly saved his life. That day, the eleventh anniversary of the September 11th al Qada attack on the United States, was marked by protests at many U.S. embassies, demonstrations by Muslims upset at the Youtube video trailer of a movie spoof of Mohamid. Most of the protesters hadn’t seen the movie or the internet video, which depicted Mohamid as a hypocrite in a Monti Python type movie that looked like it was made by high school students. The US State Department took the threat seriously, and paid tens of thousands of dollars to take out advertising in Arabic newspapers and radio stations denouncing the film and disclaiming any responsibility for it. There were still a number of planned protests at the US Embassies in Cairo, Egypt, and Tripoli, Libya, but Benghazi was quiet. At the US mission in Benghazi, Ambassador Stevens wrapped up his meeting with a Turkish diplomat and talked briefly on the phone with Dr. Thomas Burke, the Boston doctor in Benghazi who wants to set up an emergency medical service in the city. Although officially off duty, Stevens was to meet with Burke at the Benghazi Medical Center to see how they could help the Libyans upgrade and improve all of their medical services. 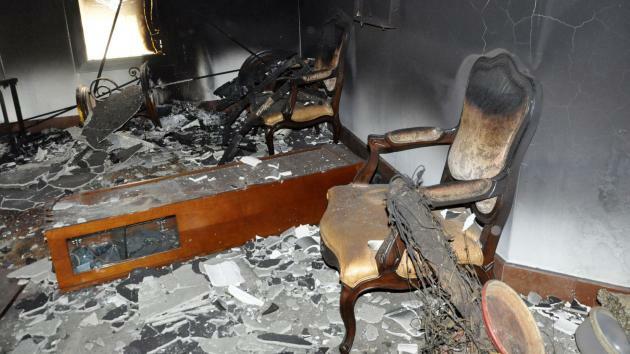 From his Benghazi hotel room Dr. Burke was talking with Ambassador Stevens when they came under attack and the line went dead. The attack on the US mission at Benghazi is now the subject of many articles, official reports, Congressional investigations and hearings and will surely be the subject of books and someday made into an epic movie with a cast of thousands. But at the end of the day, four Americans were dead, including Chris Stevens. 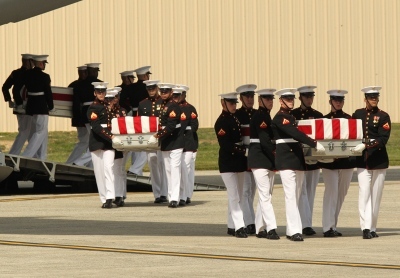 Stevens made the appointed rendezvous at the Benghazi Medical Center, as a friendly Libyan discovered Stevens alive but unconscious on the floor. A local Libyan, a Good Samaratan not knowing who Stevens was, carried him to a car and drove him to the hospital, but Stevens was dead on arrival, probably from smoke inhalation. If a modern Emergency Medical ambulance had arrived on the scene with an oxygen tank, Stevens could be alive today. Shortly after Stevens went missing in Benghazi, his sister Anne Stevens received a call from Secretary of State Hillary Rodham Clinton. “I hope this will not prevent us from continuing to support the Libyan people, from moving ahead,” Stevens said to Clinton. Revenge and justice were not what Chris Stevens was about. 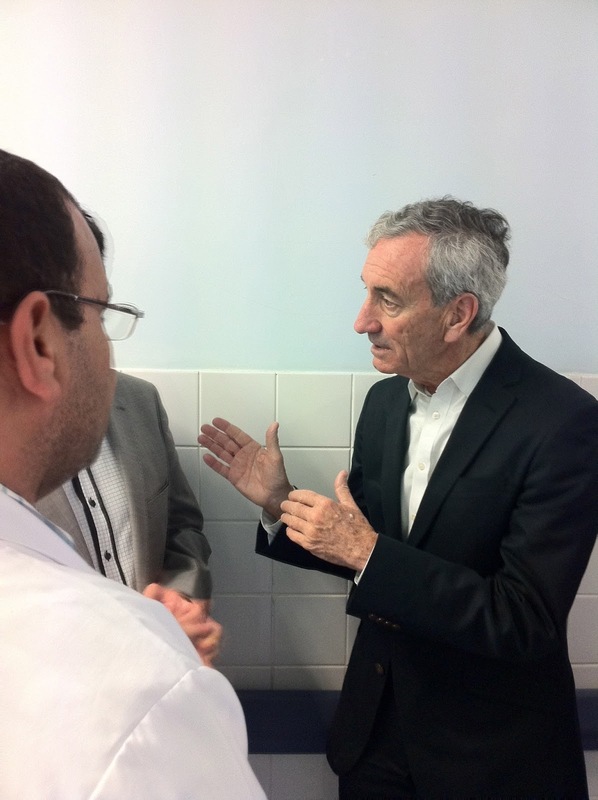 Then Dr. Anne Stevens learned about Dr. Thomas Burke, the physician from Boston’s Massachusetts General Hospital who was in Benghazi that day, and was scheduled to meet with Ambassador Stevens to discuss how to best help the Libyans develop an effective emergency response network. And instead of seeking revenge or justice, Dr. Stevens thought the most fitting tribute to her older brother’s life would be to complete the work he had started in Benghazi, helping Libyans improve emergency care, so she has joined Dr. Burke in working towards those goals. 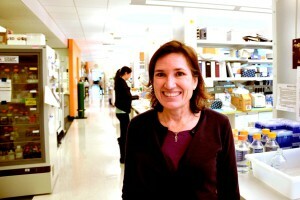 Photo by Erika Schultz/Sealte Times From left, Drs. 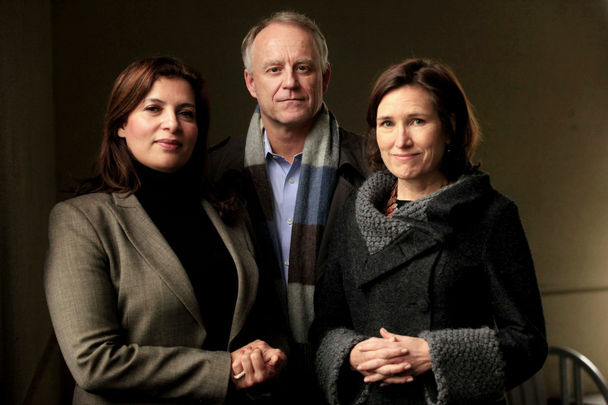 Laila Taher Bugaighis, deputy director general of Benghazi Medical Center; Thomas F. Burke, of Massachusetts General Hospital; and Anne Stevens, of Seattle Children’s. Dr. Stevens also created a memorial to her brother online, http;//www.rememberingchrisstevens.com, to promote communication and understanding between the Western and Arab worlds. Under an “eye for an eye” Shalfa law, the victim or their relations can forgo justice by forgiving the sin, as the mother of Mohamid Boauzizi forgave the policewomen who harassed her son, slapped him and humiliated him into committing the self-immolation that sparked the Arab Spring. Now Anne Stevens can find it in her to forgive those who killed her brother, and instead of seeking revenge and justice, she wants to continue his work - help develop a modern medical emergency response system, not only in Benghazi but throughout East Libya. If the ultimate sacrifice is giving one’s life for one’s country, and those who have died in war gave their life so we can be free, then Chris Stevens gave his life so Libyans could be free. While the politicians in Washington continue to play the blame game over the circumstances of Stevens’ death, who killed him and who was negligent in his death, Americans can do something in memory of Chris Stevens by supporting the things he was working on when he was killed - the education of Libyans, especially women, and assist Dr. Burke and Dr. Stevens help the Libyans establish such basic social services as emergency medical assistance. Indeed, who killed Chris Stevens was no mystery to those who lived in Benghazi, and within days of Stevens’ death, forty thousand people gathered together in Benghazi’s main Freedom Square. They knew who was responsible for the deaths of the Americans, and they marched to the militia headquarters of the Islamist Ansar al-Salafist Brigade, who fled the city. But they later returned, and their commander - Mohammad Ali al-Zahawi, in a brash interview with the BBC said, "Our brave youths will continue their struggle until they impose Sharia." Zahawi also confirmed that his brigade was responsible for demolishing and desecrating Sufi shrines in Tripoli and Benghazi, which they regard as idolatrous saying, "It is a religious duty to remove these shrines because people worship the deceased and this is prohibited. It is not me who says so but rather our religion." Using cell phone photos and Youtube videos of the September 11th, night time attack on the American mission at Benghazi, intelligence analysts have isolated a number of men who figured in the death of Ambassador Stevens, a State Department assistant and two former US Navy SEALS who were in Benghazi on a special mission. One of those sought in the attack, a Tunisian who was arrested in Turkey, was returned to Tunisia and released. Stevens’ assassins freely walk the streets today, and when instructed, they attack and destroy symbols of Islamic idols, especially the graves of revered Sufi saints, revolutionary martyrs and American heroes. In Washington, the circumstances of Stevens’ death has made “Benghazi” a buzz word that has sparked official investigations, reports, Congressional hearings, civil ceremonies and radio talk show conversations, indicating that it may even take on the status of a Deep Political Event in the same category as Watergate, Iran-Contra and the assassination of President Kennedy. Left behind are the remains of US Navy Lt. Richard Somers and the men of the USS Intrepid, whose bones are still buried in clearly marked crypts in an old walled cemetery on the Tripoli beach, waiting to be desecrated or destroyed by the radical, grave robbing Salafists, the same orthodox Islamists responsible for the murder of J. Chris Stevens.